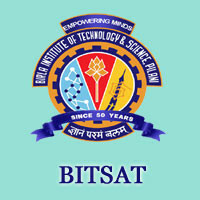 BITSAT abbreviated as Birla Institute of Technology & Science Admission Test. It is a University Level Entrance Exam regulated by the Birla Institute of Technology and Science (BITS), Pilani. The Candidates who wish to get admission in first-year degree in various UG and PG programmes like B.Tech, B.Pharma, and M.Sc courses can participate in this test. BITSAT Slot Booking 2018 is available from 3rd week of March to 2nd week of April 2018. Therefore Readers can follow the below paragraphs and get more details like BITSAT Notification, Application, Slot Booking, Important Dates, Eligibility, Syllabus, Exam Pattern, Cutoff, Results, Admission Procedure and Related information. University Name Birla Institute of Technology and Science (BITS), Pilani. Every Annual Birla Institute of Technology & Science conducts the test for offering admissions to various UG and PG Courses. There are four campuses which offer the courses through BITSAT. They are BITS Pilani Campus, K. K. Birla Goa Campus, and Hyderabad Campus. Every year, nearly 2 lakh candidates who wish to continue their further studies participate in the examination. The exam will be held at 51 Exam venues across India and Dubai. Go through the entire article to get furthermore details like Courses offered, eligibility criteria, exam dates etc. Higher Degree Programmes: M.E./ M.Pharm./MBA. Every Year the University published the notification for Bachelor of Technology (B.Tech) and other Professional Degree in BITS Pilani University in the month of December/ January. For the current year also, they will soon release the BITSAT Notification 2018 in the 2nd week of January 2018. Therefore the students who are dreaming to get admission in BITS Campuses can apply through Online before the last date. The official advertisement of BITS Entrance Exam 2018 is attached below. Therefore go through the complete details of BITS Pilani Entrance Exam 2018 given below. BITS Admission Test 2018 Applications are available from 2nd week of January 2018 to 1st week of March 2018. The Aspirants can submit the BITSAT 2018 Application Forms through the official website www.bitsadmission.com. No other mode of applications except online will not be accepted. We suggest the applicants take a print out of the filled application form for further reference. The applicants can pay the application fee through Credit/Debit Card/Net Banking or Cash Payment at any branch of the ICICI Bank. The Aspirants should satisfy the BITS Eligibility Criteria 2018 in order to appear the test. It includes the factors like Nationality, Age limit, Academic Qualification etc. The eligibility criteria for BITSAT 2018 is given below. Applicants must have possessed the 12th class examination or its equivalent exam from a recognized Central or State board with Physics, Chemistry, and Mathematics and proficiency in English. They should have secured at least 60% marks in each of the Physics, Chemistry, and Mathematics/ Biology subjects. Candidates must have passed the examination of class 12th from a recognized Central or State board or its equivalent with Physics, Chemistry, and Biology and adequate proficiency in English. The aspirants with PCM (Physics, Chemistry, and Mathematics) can also apply. They must have scored minimum of aggregate 75% marks in Physics, Chemistry and Mathematics subjects. Candidates who are appearing for qualifying exam (12th) in 2018 are also eligible to apply. Also, the applicants who have passed 12th examination or equivalent exam in 2017 are eligible to apply. All the applicants need to book the slot for the BITS Pilani Entrance Exam. The BITSAT Slot Booking 2018 is available from 3rd week of March 2018. Therefore the registered candidates can book the slot to appear the BITSAT Exam 2018. The process of BITS Slot Booking done through Online and will be on the basis of first come first serve. The last date to book the slot is 2nd week of April 2018. We inform the aspirants that the aspirants who completed the slot booking process within the due date are only able to download the admit cards. The Candidates need to reserve the date and timings on which they like to appear the Birla Institute of Technology and Science Admission Test. For every entrance exam, admit/hall ticket is a mandatory document which the applicant should carry to attend the test. So that the Aspirants can download the BITSAT 2018 Admit card from the official web portal www.bitsadmission.com. The Birla Institute of Technology and Science Admission Test Hall Tickets 2018 are available from 3rd week of April to Last week of April 2018. The admit card contains the details like Name of the candidate, Roll Number, Exam venue, exam schedule and other details. Also, keep it safe for further use. The Participants who are going to attend the BIT SAT Exam 2018 have to check the syllabus. The authority is planning to held the Entrance Exam for BITS Pilani from 3rd week of May to Last week of May 2018. Hence the contestants must be prepared in a proper manner to crack the exam easily. For that, you need to check the BITSAT Syllabus which contains the topics that are being asked in the exam. Here, we have given the list of main subjects which are having the more weightage. Have a glance at the syllabus and start your preparation as much as possible. Previous Year BITSAT Papers are the important preparation material which gives hints and insights about the types of questions being asked in the exam. Birla Institute of Technology & Science Admission Test Model Papers help in making you proficient in solving skills. Solving BITS Pilani Entrance Exam Sample Papers gives the experience and helps to simulate the level of pressure in the examination hall. The Contestants can also analyze the several factors like frequently asked questions, weightage of the subjects, complexity level etc. Therefore collect the BITSAT previous year questions papers and practice them to perform well in the exam. The Participants who are going to attend the BITSAT Entrance Exam 2018 can take the mock test available at the official website www.bitsadmission.com. The authority provides the facility of BITSAT Mock Test and also it is available as an executable file. So that the Contestants can easily download the file. Here we advise the aspirants attempt the mock test to get an idea about the scheme of the test. BITS Pilani Entrance Test Mock Test will helpful for the aspirants to make their preparation effective. The duration of the test is only 30 Minutes. But the duration of the final exam will be 3 Hours. Therefore interested candidates can visit the official site and take the test. Fundamentals of Physics by Halliday, Resnick & Walker. Numerical Chemistry by R.C. Mukherjee. Chemistry for class XI, XII NCERT Text Book. Organic Chemistry by M. S. Chauhan. Higher Algebra by Hall Knight. Differential Calculus by Arihant Publication. Integral Calculus by Arihant Publication. Plane Trigonometry Part 1 by S.L. Loney. Plane Co-ordinate Geometry by S. L. Loney. The Result of Birla Institute of Technology and Science Admission Test 2018 will be declared via online from 01 July 2018 onwards. The University of BITS will announce the BITSAT Results for different iterations (Iteration I, II, III, IV and V) on different dates. Therefore all the examinees can check out the BITS Pilani Entrance Exam Result 2018 at the authorized website www.bitsadmission.com. Through the score obtained in the test, only the participants will get the admissions in the universities for their dream courses. The Cutoff of Birla Institute of Technology and Science Admission Test is the minimum qualifying score. The examinees should score the BITS Pilani Entrance Exam 2018 Cutoff Marks to get the admission. The authority will prepare the cut off marks on the basis of various factors like Number of Aspirants, Number of qualified candidates, the difficulty level of the paper, reservation policy, seat availability. BISTSAT 2018 Cutoff score varies from campus to campus and score to score. Here we have given the previous year BITS Pilani Exam Cutoff marks for the sake of contestants. Therefore have a look at the below table and estimate the BITSAT 2018 expected cutoff marks. 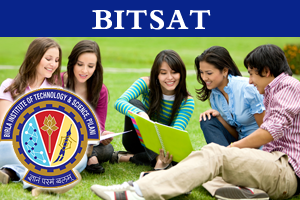 The authority of BITS Pilani will conduct the BITSAT 2018 Counselling after the declaration of result. The counselling will be held for over 2,000 seats in Integrated First Degree Programmes of Engineering and B.E. (Honours) programmes. All the participants who secured the minimum qualifying marks in Physics, Chemistry, and Mathematics are eligible for the BITS Admissions. All those contestants who have given the examination of BITSAT 2018 need to submit the admission application in addition to the 12th marks and preferences to the various degree courses. The BITS Pilani 2018 Admissions will start from 2nd week of May to Last week of June 2018. Counselling of BIT Pilani Test 2018 will be conducted simultaneously for all the campuses such as BITS Pilani, Goa and Hyderabad campuses. Topper candidates of central or state boards have to apply separately for admission under “Direct admission to board Toppers”. Visit the official website www.bitsadmission.com to know more details regarding the process of admissions and its schedule.